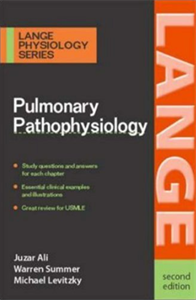 A system and disease-based approach to the aspects of pulmonary pathophysiology, essential for an understanding of clinical medicine. Bridging the gap between basic science and clinical medicine, this text provides students with a solid understanding of symptom identification and the underlying disease mechanism. 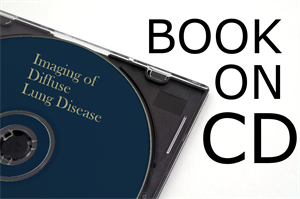 Features clinical pearls, learning objectives, study questions, algorithms, and key concepts highlighting the presentation in each chapter. Accepted by CRA for 18.75 continuing Education credits in Human Resource Management and Communication and Information Management. List the causes of dyspnea. List the five components of the cough reflex. Name the most common causes of hemoptysis. List six musculoskeletal causes of chest pain. Describe the management principles in patients with asthma. List the most common symptoms of pulmonary hypertension. Name four common pathogens of pharyngitis. List five causes of hypoxic respiratory failure. Identify the pulmonary complications that occur after lung transplantation. Purchase your course and use the test key provided to take your test online. There is no extra charge for online testing and you will get immediate results. You can start and stop your test at any time so you can work at your own pace. Your test key is found on your receipt, under the description of your purchase. This is a soft cover book and has 15 chapters and 279 pages. When you order a test only for mailing, you will receive a test booklet and an answer sheet. Your order will ship within 24 hours of receipt of order and you should receive your order by mail in 3-5 business days. If you would like to download the test, please choose the download test option. You can then sign in to your account and download the test booklet and answer sheet. If you plan to take the test online, please be sure you have the course book, as the online testing option does not include the course book. If you would like to have this test faxed to you, please be sure that you have the textbook and question booklet. You will receive your test the same day. With a passing grade of 75%, your certificate will usually be mailed the next business day. If you fax your answer sheet, your certificate is usually faxed to you the same day. If you do not pass the first time, we will send you another answer sheet at no cost for you to try again. You will have three chances to pass, at no additional cost to you. However, it is very rare for someone to fail a test.